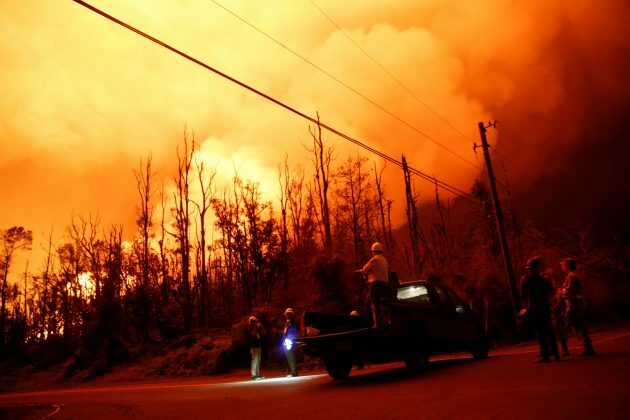 HONOLULU (Reuters) – U.S. President Donald Trump on Thursday approved federal emergency housing aid and other relief for victims of the six-week-old Kilauea Volcano eruption on Hawaii’s Big Island, where hundreds of homes have been destroyed, state officials said. The approval came a day after Governor David Ige formally requested assistance for an estimated 2,800 residents who have lost their homes to lava flows or were forced from their dwellings under evacuation orders since Kilauea rumbled back to life on May 3. 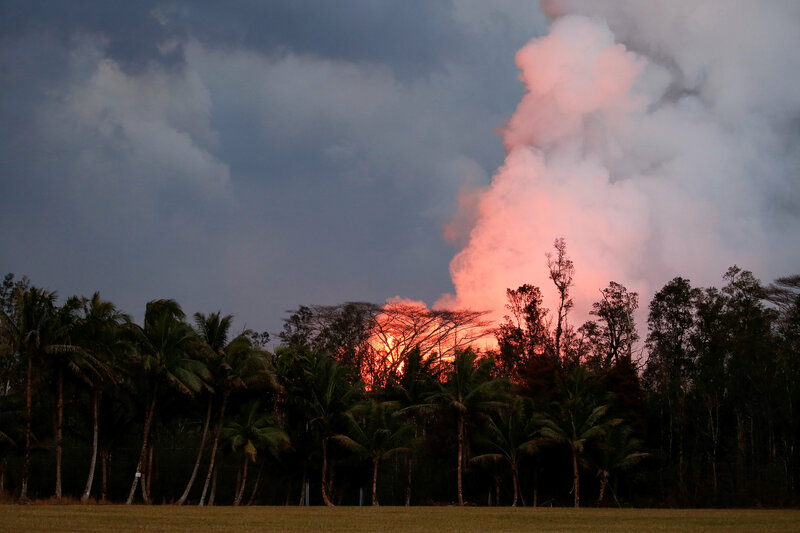 Hawaii County Mayor Harry Kim has said that rivers of molten rock spewed from volcanic fissures at the foot of Kilauea have engulfed roughly 600 homes. The governor’s office put the number of residences destroyed at 455. Either tally marks the greatest number of homes claimed over such a short period by Kilauea – or by any other volcano in Hawaii’s modern history – far surpassing the 215 structures consumed by lava in an earlier eruption cycle that began in 1983 and continued nearly nonstop for three decades, experts say. The latest volcanic eruption also stands as the most destructive in the United States since at least the cataclysmic 1980 explosion of Mount St. Helens in Washington state that reduced hundreds of square miles to wasteland. The geographical footprint of Kilauea’s current upheaval is much smaller, covering nearly 6,000 acres, or just over 9 square miles (2,400 hectares) of the Big Island in lava, an area roughly seven times Central Park in Manhattan. No specific sum of money was sought by the governor for federal disaster aid, and no dollar figure was attached to the package Trump approved under the Individuals and Households Program, administered by the Federal Emergency Management Agency (FEMA). The Honolulu Star-Advertiser newspaper reported this week that eligible homeowners and renters could get up to $34,000 each. The program provides grants to displaced residents to secure temporary housing while their homes are repaired or rebuilt. 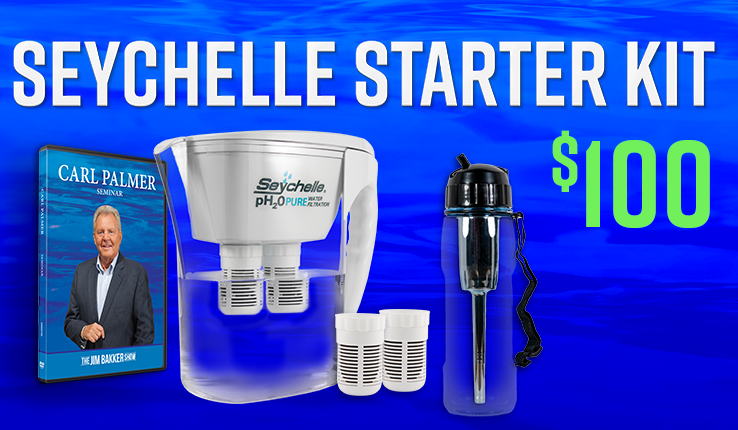 Assistance can also be obtained for repair and replacement costs. In addition to housing assistance, Trump approved relief from several other FEMA programs, including crisis counseling, unemployment benefits and legal aid. Trump previously issued a major disaster declaration weeks ago authorizing money from FEMA public assistance grants for the County of Hawaii, the island’s local governing authority. Residents will be able to register for assistance at a disaster recovery center that will open on Friday at the Kea‘au High School Gymnasium. The center will be jointly operated by Hawaii County, the State of Hawaii and FEMA. His expansion of FEMA assistance came as the Kilauea eruption entered its 43rd day on Thursday. In addition to lava and toxic sulfur dioxide gas spewing from about two-dozen fissures on the eastern flank of the volcano, daily periodic explosions of ash from the crater at Kilauea’s summit have created a nuisance and health hazard to communities downwind. Volcanic smog, or vog, carried aloft by the winds has hampered air quality for parts of the island and been detected as far away as the western Pacific island of Guam. 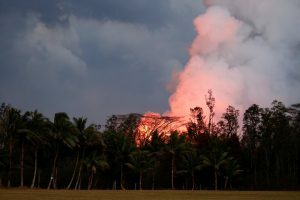 The volcanic activity at Kilauea’s summit has also triggered thousands of mostly small-scale earthquakes that have added to the jitters of residents living nearby and damaged facilities at the Hawaii Volcanoes National Park, the island’s biggest attraction. Most of the park remains closed. A report from the governor accompanying his request for federal aid documented the larger toll taken on residents of the island’s volcano-stricken Puna district, including disruption of power, communications and drinking water infrastructure. It cited an uptick in reports of residents “experiencing acute mental health effects of fear, anxiety and stress” as the crisis drags on with no end in sight. 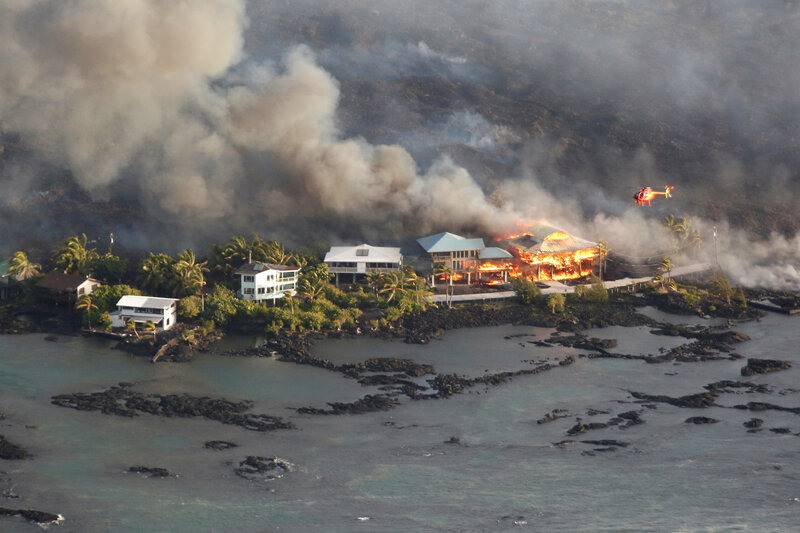 With about one-fifth of Puna’s population displaced by the eruption, the disaster has created a “housing crisis in a rental market that was already severely constrained,” the report said. In other economic impacts, the report cited losses of nearly $37 million in vacation rentals and $14 million from agriculture, including half of the state’s entire cut-flower industry and 80 percent of its papaya crop. This entry was tagged disaster aid, Eruption, Federal Emergecy Management Agency, FEMA, Homeless, infrastructure, Kilauea Volcano, Most Destructive in U.S. since 1980 Mount St. Helens. Bookmark the permalink.